Three new blockbusters hit the store shelves this week. 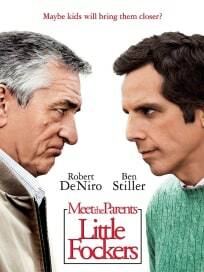 A comedy that did very well in theaters late last year and a successful follow-up. The next Narnia film is also out on DVD this Friday. 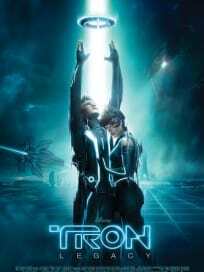 Tron: Legacy - The follow-up to the 1982 original film, Tron has Jeff Bridges reprising his role as Kevin Flynn. Flynn has been missing for 20 years after being stuck in a virtual world he created. His grown son Sam (Garrett Hedlund) must enter the video game world of Grid to find and save his father. Olivia Wilde also stars as Quorra, an ally in the Grid. The DVD extras include deleted scenes and featurettes with the director and behind-the-scenes specials. Also out on DVD this week, though you'll have to wait until Friday, is The Chronicles of Narnia: Voyage of the Dawn Treader. Read more for details. The Chronicles of Narnia: Voyage of the Dawn Treader - The third film in the Narnia series sees Edmund and Lucy travel back to Narnia for another trip. 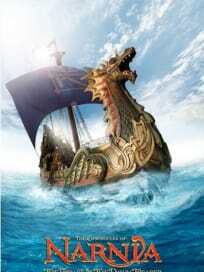 This time, they're on the ship The Dawn Treader with Prince Caspian and their annoying cousin Eustace. They are going to the edge of the world and encounter dragons, dwarves, and lost warriors on their journey. The DVD extras include deleted scenes, director's commentary, games, and different featurettes.